The PEI Women's Secretariat worked in collaboration with the cross-curricular instructional leader of the Department of Education, Early Learning and Culture to provide this curriculum scan for PEI educators. The vision for the Atlantic Canada social studies curriculum is to enable and encourage students to examine issues, respond critically and creatively, and make informed decisions as individuals and as citizens of Canada and of an increasingly interdependent world. An effective social studies curriculum prepares students to achieve all essential graduation learnings. In particular, social studies, more than any other curriculum area, is vital in developing citizenship. Social studies embodies the main principles of democracy, such as freedom, equality, human dignity, justice, rule of law, and civic rights and responsibilities. 5.6.1 My Society - Students will be expected to illustrate the similarities and differences of past societies and your society. 8.4.3 Demonstrate an understanding of the structure and operation of government in Canada under a federal system - describe the operation and responsibilities of government at the municipal, provincial, and federal levels - demonstrate an understanding of the relationship between the provincial and federal governments and account for provincial and regional variations in this relationship - examine the roles and responsibilities of the executive, legislative, and judicial branches of government - examine the processes leading to the formation and dissolution of governments. 10-2-3 Describe several personalities (past and present) who have contributed to the growth and development of Canada. Advanced Political Studies broadens students’ views of the world’s major political systems. This course begins by examining human nature and the need for government. Students will explore the values behind democratic and non-democratic forms of governments as they will be challenged to analyze world problems through different viewpoints. Throughout the course there will be opportunity for improving critical literacy skills through discussion, debate and analysis of current political events. Why is it important to recognize and explore women’s history? Why is women’s history sometimes overlooked? How have women influenced PEI's political, social and economic life? How would Canada be different if women never gained the right to vote? To sit in the Legislative Assembly, House of Commons or Senate? What about the right to work or own property? Who are some women that you admire? 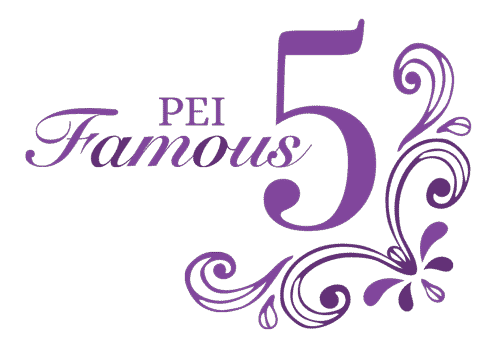 What can we do today to honor the legacy of PEI women who have gone before us? What challenges remain for women today? How can understanding history help us to overcome them?